Sleep, probably the best investment for your life. Postpone your morning alarm by another half hour or an hour if possible. You will understand why I say so when you read this article..
Ranjan Das was a very successful business in India. 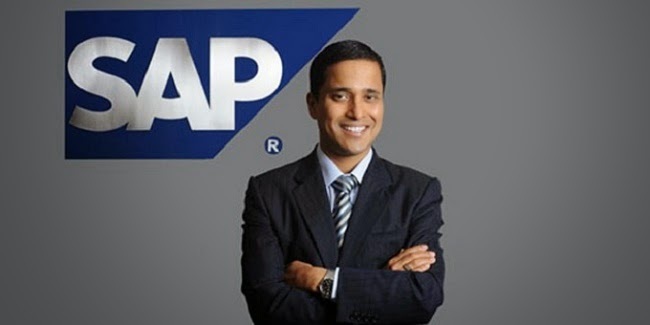 He was the CEO of SAP Indian subcontinent. He started his career at very young age and climbed the corporate ladder very quickly. Therefore he is considered one of the best young businesses tycoon who won not only the Indian corporate world but also an achiever in the global scale. But he said his final good bye a few months ago at the age of 42. Ranjan Das was never a lazy or lethargic person. For the moment let’s leave his business achievements and look at his lifestyle. He was a very healthy person who cared for his body always. He was also interested in exercise and workouts and a regular visitor of gym. He did his own workout schedule at the gym with a trainer’s advice. The other important fact is that he was a marathon runner and he was a fan of marathon runs. He trained marathon running frequently on the streets of Mumbai. He represented famous Chennai marathon every year. On 21st October after Devali last year he went to the gym as usual and did his routine workouts. After a while upon returning home he shouted in pain holding his chest. Next moment he fell down and never got up after. He was dead in a moment. Life is so uncertain. It’s like a dew drop on a grass in the morning that just fades away soon the sunlight falls. Why did this business tycoon, world famous professional and an awesome young soul left the world is a snap? Let’s find out what went wrong! Everybody was shocked to hear his death and was curious what the reason for his sudden death was. People questioned as to how could such a sports loving character and a healthy young man like Ranjan Das suddenly died. Was his marathon that got killed him? Or was it over exercising or workouts that did cause his death? People came up with many theories and assumptions but nobody knew what the actual reason was for his death. When his life was analyzed it was evident that he absorbed a great stress at work. Stress is not only common for Ranjan Das alike but for all of us. We all carry stress every day in our life. We do our routine work under a lot of stress more often than not. Although you feed your body and manage your food habits, you seldom think of how to manage or avoid unnecessary stress. If you do not keep your head clear without weighing it with too much of stress, caring for your body in terms of food and nutrients will be useless. Importantly and surprisingly the doctors have found Ranjan Das has only slept between 4 – 5 hours a day regularly. He has claimed it several years ago on a TV show with NDTV as well. A famous cardiologist in India who investigated his cause of death analyzed a few key living habits of Ranjan Das came to the final conclusion that his sudden death was because he did not have enough sleep continuously for a long time. He determined the cause of death is simply because his lack of sleep. Sleeping less than 5 -6 hours can cause irregular blood pressure. High or lower blood pressure. High sensitivity C-Reactive Protein (hs-cRP) levels could go high if you sleep less. Even if you sleep enough after hs-cRP level goes high, you cannot lower it to normal levels easily. hs-cRP is a pre indicative tool of a heart attack. Even the lack of sleep for one night could imbalance our bodily chemicals such as tumor Necrosis Factor-Alpha (TNF-alpha) and C-reactive protein (cRP). These could work as toxins within our body helping cancer cells to grow and increasing the risk of heart attacks. Sleep can categorized in to two types. That is REM ( Rapid Eye Movement ) & non-REM. REM helps the brain and mind while non-REM repairs your body. You experience the both when you have a good long sleep in the night. What comes first is non-REM sleep. During this time pituitary hormones are ejected to prepare and repair the body. Once that process is over comes the REM sleep which helps our mental stability. Latter part of sleep (REM) helps us stay focused and to have a clear mind during the day time. It keeps us refreshed and less stressful. Because you have had enough rest to your brain and mind. If you only had a 5 hours’ sleep, it’s very clear you can drain faster like a less charged battery. Lack of sleep make you tired faster and you feel less energetic. Last few hours of sleep (REM) entirely decide how your next day would be. If you have a good long REM you’d be pumping and kicking while if you didn’t have enough sleep you’d be drained very fast and unstable. One more very critical point is to sleep an extra hour or two for long distance runners. They require more sleep for the physical recovery process (Non REM) in the sleep as they waste a lot of energy by running long distances. Here’s what happened to Ranjan Das. He was very careful about his food. Exercising was a regular part of life. His body was also fine. BUT, he forgot one very critical thing. That was a sufficient sleep. Heonly slept 4-5 hours each day. That increased his stress few times more and increased the risk of a heart attack. What happened to Ranjan Das could happen to any of us at any time. We too are working like Ranjan Das did and have many duties we are responsible for. Responsible for our work at offices, business, and for our family. If we are do all these, we must first live a healthy life and stay without dying prematurely. Ranjan Das reminds us this once again with his unfortunate sudden death. Sleep at least 7 hours a day. Find a way for a good long sleep. It will always be a great investment for your life which keeps you and your family happy and healthy.